Our neighbor lives by herself – her daughter lives just a block away. She is 74 years old, a Christian, with a beautiful face… and heart. She is very artistic, evident in the way she decorates her lovely house and garden. Her latest project is a Koi pond, surrounded by curly ferns. In the pond are three antique cisterns (she bought from a second-hand shop), where water flows and gives a soothing sound of cascading water. I always praise her ability to show her artistic side. Before, she used to sew house dresses. She even made one for me for free, fabric and all. For my husband’s 50th birthday, she baked a football cake – since my husband is an ardent football player. 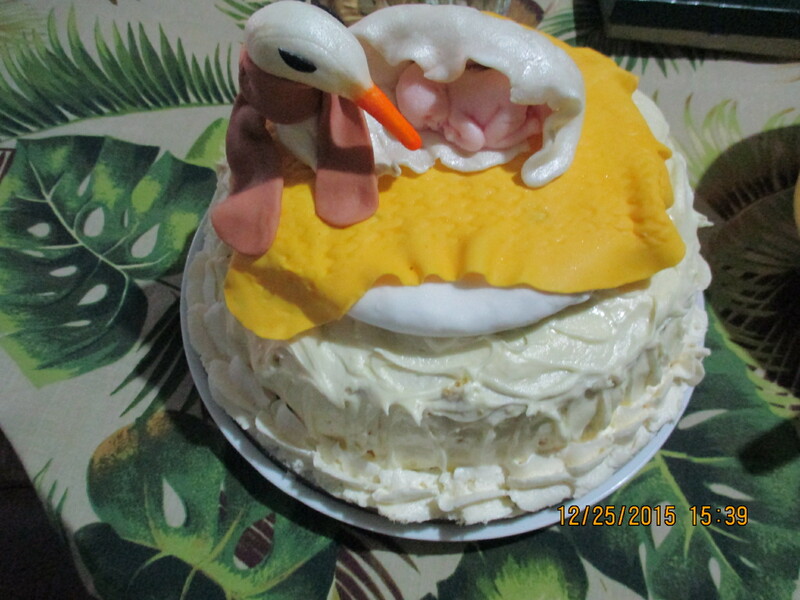 And when i gave a baby shower to my daughter, she baked her a cake decorated with a Stork on top (the one shown above). Both were handcrafted and handed over with neighborly love. Yesterday, at almost 9:00 pm, the bell rang. We were surprised to see my neighbor and she ashamedly requested that I drive her to the hospital. She was most apologetic. But we were most happy to help. We arrived home late and slept late. But happy to have extended our love and concern for our neighbor with a beautiful face… and heart.